What views do other gluten free bakers have on coconut flour? In the latest free Woolworths fresh magazine, I spied this recipe for a Coconut and Raspberry Loaf. 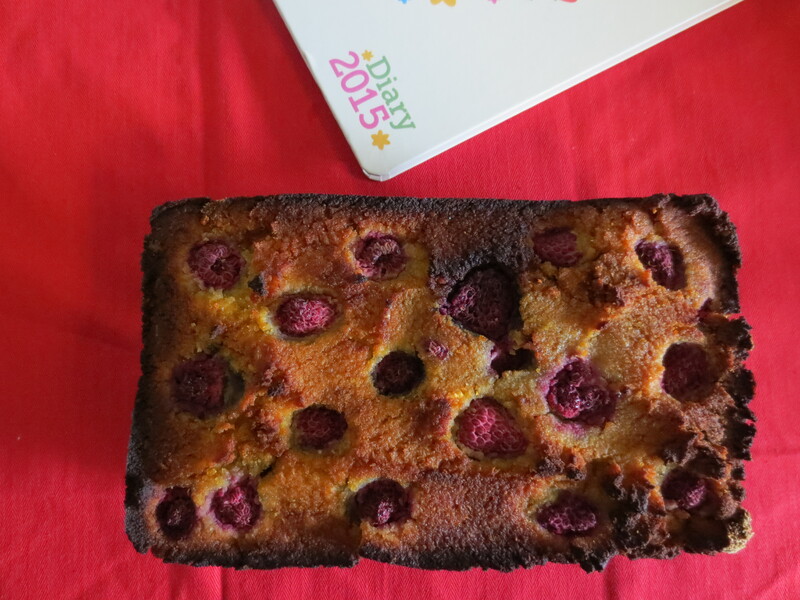 I have baked with coconut flour before and at the time had mixed feelings about the texture of the baked item. 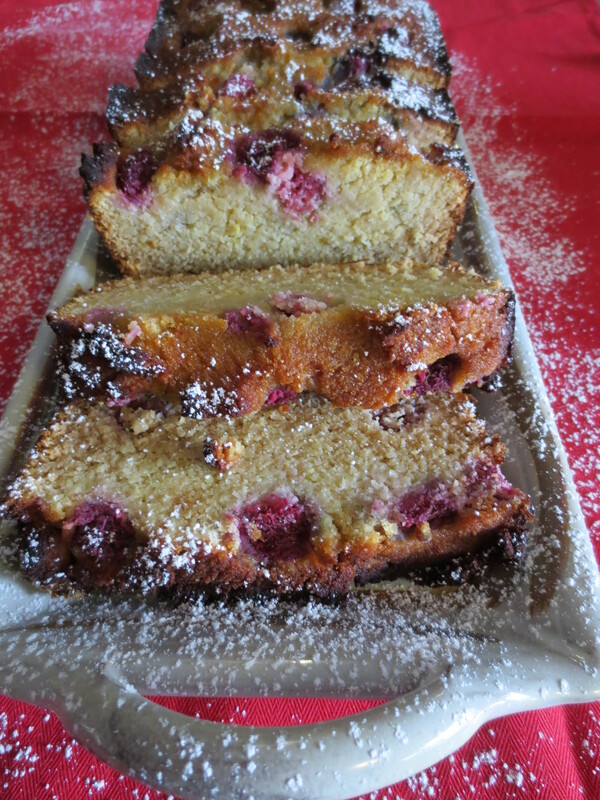 So with the New Year still young, I decided to revisit coconut flour and bake this Coconut & Raspberry Loaf . The loaf bakes well and presents beautifully, but I know that my gf taste tester will not enjoy its texture. Me: if I had a choice of a raspberry loaf made with almond meal and one made with coconut flour, my preference would go to the former. Gluten free baking has broadened the range of products I bake with : banana flour, almond meal, hazelnut meal, buckwheat flour, polenta, chickpea flour, corn maize flour, flaxseed meal and gf flour mixes. So I am used to working with different textures and flours: just not ‘sold’ on coconut flour. to find a ‘good’ recipe. It does look good – not at all crumbly. You’re right about almond meal – it’s a brilliant ingredient for GF baking, but also a huge problem when you can’t use it because of other kids’ nut allergies! I had some great advice from Brenda from the blog GF and Me – because coconut flour is super absorbent, only use it for about 20 percent of your total flour for that recipe. That advice has worked for me, and I’ve always needed extra liquid when using it. I like it for its taste and smell, but also, as far as I can tell, it can be used raw, so it’s been a handy ingredient for things like dried fruit balls (bliss balls), when there’s a little too much liquid in the mix. I ventured into coconut flour world only because I had very few options for grain free and nut free baking. I like it as a bulk of dry matter in vegetble breads because you can’t even taste it there. The taste and texture completely masked. On its own I do not like it at all, but as one of many ingredients especially to combat moisture it is OK. I am lucky I can have the option of any other gluten free flours. Apologies for my tardiness in replying. Taking your advice, I have since found a cake recipe using a combination of gluten free flour and coconut four. It was a much better result. So I think the secret to using coconut flour is to not use it as the only flour ingredient. Thanks to you, I am now using Well and Good products: flours and breads. As I can only get a few items in Townsville (spread around 4 shops), I buying online.